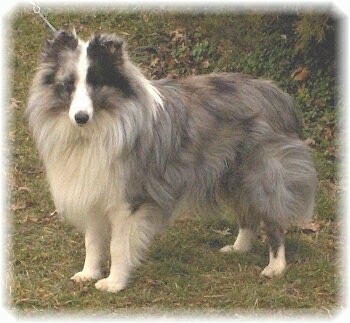 The Shetland Sheepdog is related to the Rough Collie, both dogs descended from Border Collies that inhabited Scotland. 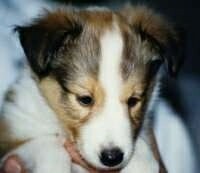 The Border Collies were brought to the Scottish island of Shetland and crossed with the Icelandic Yakkin, a small island dog which is now extinct. 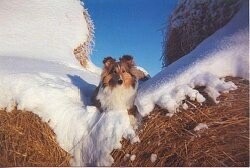 By 1700, the Sheltie was completely developed. 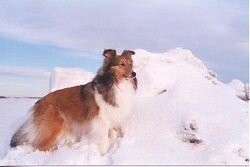 The dogs were used to herd and guard the sheep flocks of the Shetlands. This willing worker was very gentle when herding the miniature stock. 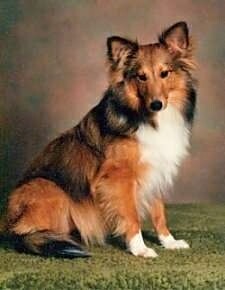 The Shetland Sheepdog was first recognized in England in 1909 and by the AKC in 1911. 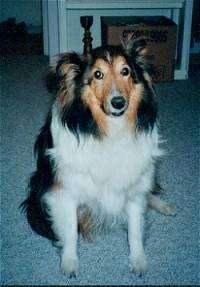 The Sheltie is one of today's most popular companion dogs. 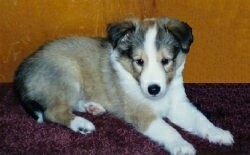 Extremely smart, it excels at obedience competition. 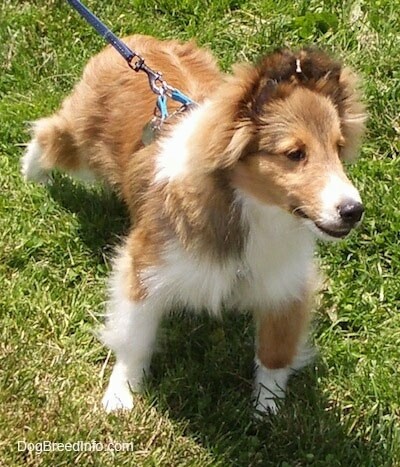 Some of the Sheltie's talents include: tracking, herding, watchdog, guarding, agility, competitive obedience and performing tricks. 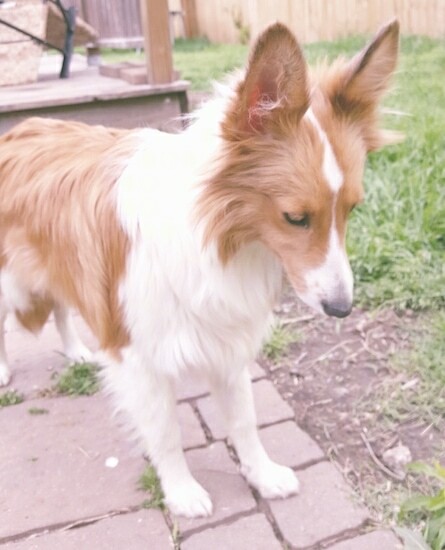 Dan Hocker the Sheltland Sheepdog at 1 year old—"He is a loving male Sheltie, who loves to sleep with our son, loves to fetch a ball and loves to take baths." 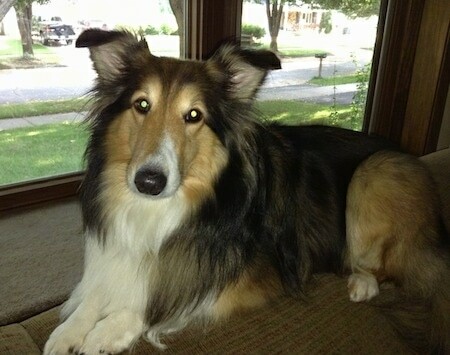 Brandi the Shetland Sheepdog at 6 years old—"Brandi is a wonderful dog and perfect for me." 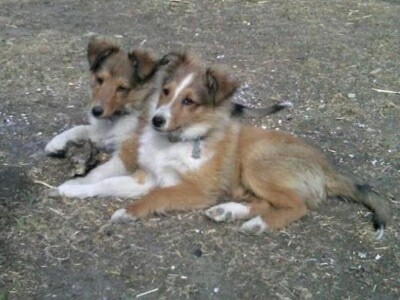 "These are my two dogs: Beau (on the left) and Teddy Bear (on the right). I took this picture when they were about 15 weeks old. These two are brothers and they love living on the farm with me. 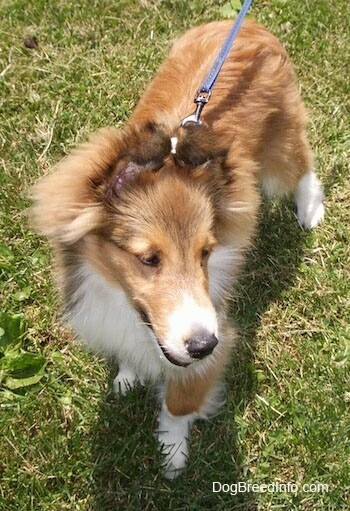 They are AKC-registered Shelties. They get as much exercise as they want from the 60 acres surrounding my house. These two are amazing dogs. They don't bite or nip at all and are wonderful with little kids. 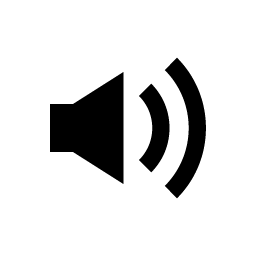 They learn extremely fast. They both love playing with the other animals here, which are the cats, other dogs and the goat. I am waiting to introduce them to the cattle till they grow a little older, so they know not to mess with them." 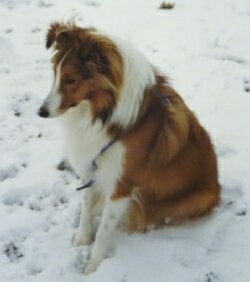 This is Sunny, owned by Melanie Matthews.